"Today, we proudly usher in a new era for hardworking Americans with disabilities." These words were spoken by American Diabetes Association Chair of the Board Stewart Perry upon the September 25, 2008 signing of the Americans with Disabilities Act Amendments Act (ADAAA). Because of the ADAAA people with diabetes will no longer face a Catch 22 in which they can be denied a job explicitly because of their diabetes – but then told they don't have the right to fight this discrimination in court because they take such good care of themselves that they don't have a "disability" as defined by federal law. Under the ADAAA people with diabetes and other chronic illnesses – people that Congress clearly intended to cover when it passed the original Americans with Disabilities Act in 1990 – are once again within the law's umbrella of protection. 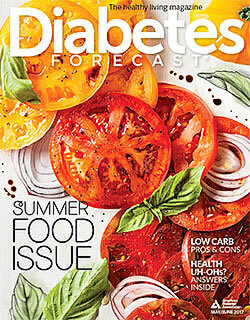 American Diabetes Association Advocates can take great pride in this accomplishment. The Association was one of the first organizations to raise the call to fix the law after a series of Supreme Court cases began taking away the rights of people with diabetes. It was a leader in the coalition of disability organizations and business groups whose combined efforts resulted in the unanimous passage of this law in both the House of Representatives and the Senate. Diabetes Advocates sent over 75,000 letters to Members of Congress; they called members of Congress, they visited them at their offices both in the District of Columbia and in their home offices, and they wrote letters to the editor. These Advocates were led by Stephen Orr, a pharmacist who testified before both the House and the Senate. Stephen told how he'd lost his job in Chadron, Nebraska when his employer refused to let him take a break to eat and treat his diabetes; and he told how his case was thrown out of court when the judge realized how successful he was in managing his diabetes. It was a story that was retold over and over by Members of Congress as they explained their support of this vital legislation. As Mr. Perry said, "This is a historic victory for Americans with chronic illnesses like diabetes who will once again be covered by this law, and is a triumph for all individuals with disabilities who want to work and will now be able to fulfill their potential."